Formulated with a unique blend of oils, including Avocado Oil to nourish, condition and soften lips. 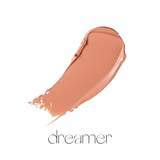 Consisting of 8 wearable shades that are rich in colour and super soft to apply. A demi-shine finish that leaves the lips with high impact colour and a smooth, satin finish with a hint of shine leaving you with a perfect pout!